Decorate your wrist with this Hamilton Ardmore traditional dial watch. The gently curved stainless steel case features a mother-of-pearl face and crystal markers at noon and six as well as a small subdial for the seconds hand. 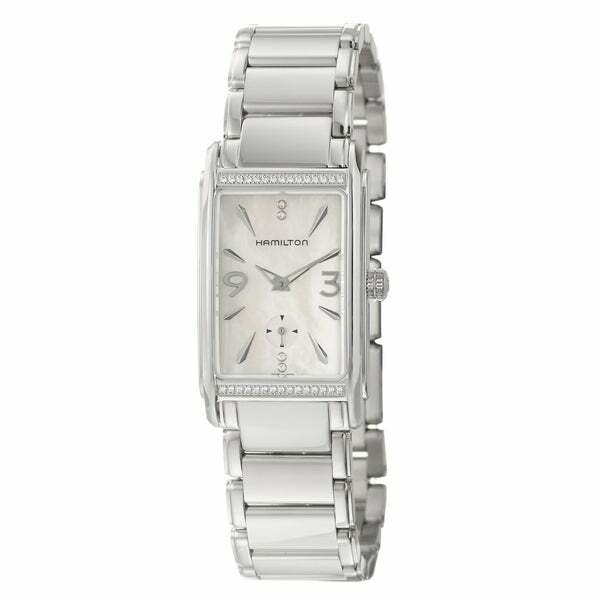 It's water-resistant to 99 feet, and the durable sapphire-crystal finish ensures your watch looks beautiful for years.